Kipli Rosli, full-time company manager who has mastered his Financial and Accounting and received a Fellow of Fellow of Public Accountants title in Australia (FIPA), Fellow of Financial Accountant title in United Kingdom (FFA), Member of Asian Institute of Chartered Bankers (MAICB), and Associate of Malaysian Institute of Management (AMIM). He has involve in Bumiputera Bank and CIMB for 42 years, also a former of Sarawak Branch Manager of CIMB Recovery Department for 15 years. 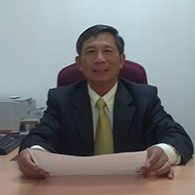 Currently, he managed the company financial and handle the consultations of Certified Credit Professional, Associate AICB Accounting/Internal-Control System Development, Final Accounts Preparation, Income Tax Submission, Auditing, Banking Products, International Trade Financing, Debt Recovery & Litigations, Credit Proposal & Strategic Business Management. Marhazli Kipli, part-time company manager mainly in Mukah who mastered Information, Communication and Technology in Universiti Malaysia Sarawak (UNIMAS) and took his Degree in Software Engineering & Development at Universiti Teknikal Malaysia Melaka. He has experienced with ICT for 16 years especially in programming. He lived in Melaka for 4 years to experienced his ICT knowledge skills in industries and educations, while expanding his business opportunities. Mohd Farid Mohd Yusof, a lead of ICT consultation who mastered ICT at Universiti Teknikal Malaysia Melaka (UTeM), Melaka and incharge of general ICT consultation. Main major of Software Development, Mobile Development, Data Mining and Artificial Intelligence. Currently, he incharge the Melaka branch on behalf of the company. Sharmila Iswandi, an accounting manager who mastered Business Admin at Universiti Malaya (UM) and incharge of financial management. She also analyze the financial status of the companies, does the financial consultation and Human Resource. Currently, she incharge in Brunei on behalf of the company. Fairuz Ismail, an ICT consultant who mastered ICT at International Islamic University Malaysia (UIA) and incharge of Security Management System, System Developer, Designer, Photographer, Supply Chain, CRM, Quality of Services. Currently, he incharge the Kuala Lumpur branch on behalf of the company. Khairul Anwar Khairul Khan, graduated from ICATS Kuching who incharge with web and application programming. Aside of that, he managed to develop a Jabatan Audit Staff System within 4 months with PHP programming language and MySQL database. He is also our gaming and system analyst and consultant. The easiest way when he is under pressure is playing games. Wan Abdul Nasser, graduated from Politeknik Kuching who incharge with Lead Consultation, Event Manager, Visualizer, Set Designer, and Prop Master. Aside of Event Manager, he is able to manage big event such as Sarawak Cultural Village Events and VVIP Wedding Events.